Probability as a Measure of uncertainty of an event in a random experiment. Chapter-wise presentation of the lessons helped me a lot to stregthen my basics. 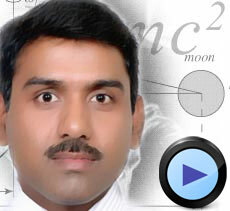 Mr. Sajid Hussain is the, HOD Physics at Delhi Public School, Maruti Kunj, Gurgaon. 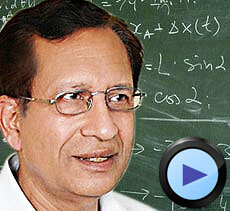 Take a look at any one of his lectures..
Mr. Shachindra Sharma (M.Sc. Delhi University, B.Ed. and CSIR Fellow) is one of the most popular, innovative ..
Mrs. Poonam Jubbal is a highly trained and experienced educationist in the field of Biology with a B.Sc. and M.Sc. in Zoology and M.Ed..
Dr. Sunil K. Rai is the HOD, English at Salwan Public school, Gurgaon. He has employed a number of,..
- Mr. Sajid Hussain,HOD Physics, Delhi Public School, Maruti Kunj, Gurgaon. 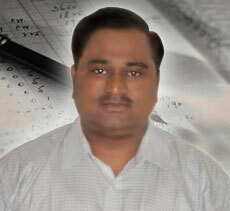 Navin Verma, is one of the most successful faculty of our country for Accountancy. He graduated with Honors in B.Com from Delhi University and did M.Com and B.Ed from CCS University. He has been teaching for close to 2 decades. He has taught in schools of India and abroad. He has also been associated with CBSE as external examiner in India and abroad. 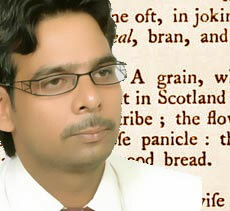 Dr. Sunil K. Rai is the HOD English at Salwan Public school, Gurgaon. He has been teaching English for past decade and during this time he has employed a number of innovative teaching techniques in English with his students. He is proud to say that his students have achieved great success. He believes that language and idiom resource methods are the repertoire of a good teacher and so must they be of a good student. He is of the opinion that education cannot be imposed but must grow in a student from within. He strongly believes that if the intuition is awakened, the purpose of education is complete. Dr. Rai is very confident that his course at TopChalks.com will provide the students with every tool that they need to excel in the Board Exams. Do not hesitate to take a look at a number of his sample lectures below. "Chapter-wise presentation of the lessons helped me a lot and saved me from the burden of making troublesome notes in class. TopChalks provided me the best support at school and at tuitions." "The TopChalks Study Material was very useful to me. The study material helped me a lot in concept understanding and problem-solving. The unit test papers and model question papers helped me in getting good marks in mid-term exams and putting in a good performance in the State Board exam". "TopChalks changed me from almost a nobody to a somebody that I am today. I am very grateful to them, without whom my achievement would not have been possible at all." "I could not grasp the subject only at tuitions, so just after learning a topic in the class I couldnâ€™t prepare the same topic through memory & books. But with TopChalks the 'Chapter-wise' dynamic presentation of the same enabled me to prepare each topic thoroughly and deeply." "These CD's from TopChalks helped me to assess my preparation level and improve upon it. Also the option to â€œlearn at my own pace & at any time I chooseâ€� was a blessing for me. You can prepare for your exam in the comfort of your home. It is the best supplement for self-study and revision during exam as I can practice unlimited times. Thankyou Topchalks for creating this help tool for handicapped students like me who canâ€™t go & attend normal School." "Topchalks is the best way to study, it saves our tuition time. We can study any topic anytime with top grade teachers. Moreover TopChalks team is very helpful, supportive and cooperative. They made TopChalks more easy and fun for me." "TopChalks is highly beneficial for the students studying independently to provide relief from burdensome task of making notes." "What to teach is equally important how to teach.Faculty members of Topchalks are fantastic." "TopChalks has very good teaching technology and equally good faculty and services." "Now I no more waste time to travel to my tuition classes. Teacher is at my home and I pay less than 1/10th of my tuition fees. Thank you TopChalks." " I was afraid to ask questions in class which was affecting my results. TopChalks gave me my personal tutor for all day. I am no more scared and scored well too." " TopChalks gave me what I wanted-freedom to study the way I want." " I regret I did not have TopChalks during my Class X exams, I scored only 64%. But this year TopChalks teachers has done wonders for me and I scored 90+% in XII boards." " TopChalks helped me ease the XII boardsâ€™ pressure. And as a result I score better." " TopChalks material is highly beneficial, easy to understand and satisfies the needs of students of Class X, XI and XII." " The feedback received of TopChalks from students is excellent. The staff, student and parent community is expressing heartiest gratitude for choosing JNV, Paota for the pilot project program in an endeavor of achieving academic excellence"